Michael C. Nelson is Associate Professor of Art History at Queens College, City University of New York. He holds his degrees from the University of Toronto (Ph.D. and MA), and the University of Minnesota, and his areas of specialization are Bronze Age Aegean Architecture, and Greek and Roman architecture. 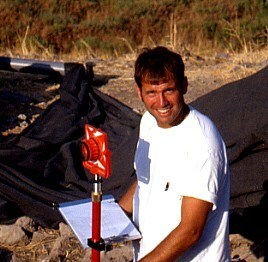 Professor Nelson is Co-Director and Architect for the excavations at Omrit in Israel, and his current publication projects include The Temple Complex at Horvat Omrit, Volume 1: The Architecture (E.J. Brill, USA, 2015) and “The Architecture of the Palace of Nestor” in The Minnesota Pylos Project: 1990 – 1998 (Oxford: Archaeopress/British Archaeological Reports, 2015).